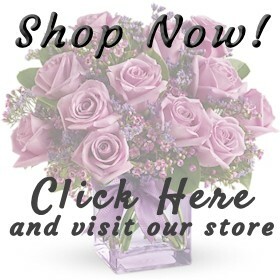 RosAmungThorns, LLC was established in May of 2013 as Springfield’s premier floral shop. In addition to traditional floral services one would expect, RosAmungThorns sets themselves apart by offering educational courses to the flower enthusiast. RosAmungThorns specializes in high-quality arrangements that far exceed the industry standards using cutting-edge designs to improve the lives of their clients. RosAmungThorns started as a home based business in May of 2013 and quickly expanded into retail space 30 days later. Springfield Business Journal featured the owner/operator Theresa Carter-Hess in 2013 on the front page of their publication. Later that year, RosAmungThorns became a member of the Springfield Area Chamber of Commerce and had a grand opening ribbon-cutting. RosAmungThorns moved into the current space at 2030 South Stewart in May of 2014. The floral design class began in October of 2014 and has been running strong. RosAmungThorns became a member of the Better Business Bureau in 2015. You must be wondering by now about the unusual spelling of the company name. It’s not a typo. In fact, Theresa’s grandpa used to call her “the rose among thorns.” When she opened her first email account, she wanted to honor that, but the correct spelling was taken. “RosAmungThorns” was the obvious next choice. Specializing in Weddings, Events, Tribute / Sympathy and Artificial Botanicals / Silks for the home or office. delivered with a sense of warmth, friendliness, individual pride and the highest level of creativity. Allow me to put my experience & talent to work for you by matching your floral personality. Most common floral personalities are Natural, Romantic, Expressive, Traditional and Contemporary. What is yours? Theresa Carter-Hess has been designing locally since 1992. She was an instructor at Ozarks Technical Community College teaching Beginning Floral Design & Introduction to Silk Botanical’s (1992-1993). She currently facilitates hands~on workshops for flower enthusiasts through her Wine & Floral Design Classes.